Bing Crosby was a frequent summer visitor to the ranch and was named the honorary mayor of the small city of Elko in 1948. ELKO, Nev. (AP) — A northeastern Nevada ranch once owned by Bing Crosby is for sale for $7,280,000. The Elko Daily Free Press reported last week that the Lawson Ranch was one of several properties the late singer and movie star owned in the area in the 1940s and 1950s. 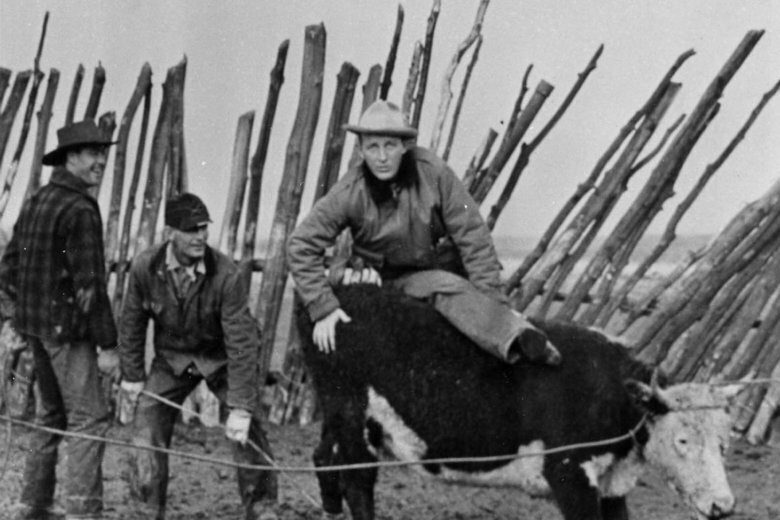 Crosby was a frequent summer visitor to the ranch and was named the honorary mayor of the small city of Elko in 1948. The Northeastern Nevada Museum in Elko still has his denim tuxedo, according to museum archivist Toni Mendive. Mendive said her late husband, Raymond Mendive, says she used to ride horses with Crosby on national forest land near the PX Ranch on the North Fork River, which Crosby also owned. “It was a place for his boys to come and experience something outside Hollywood,” she told the Elko Daily Free Press. He also owned the Quarter Circle S Ranch near Tuscarora, and the ranch’s current owner, Sharon Rhoads, knew Crosby when she was a young girl. “He and my dad were good friends. He was a very nice man,” she said. Crosby, who an Academy Award for the 1944 movie “Going My Way,” died in 1977 at age 74. He visited Nevada each summer until the end of the 1950s with his four sons by his marriage to his first wife, Dixie Lee, and paid them cowhand wages to work on the ranches. He became a familiar sight on the streets of Elko, wearing faded blue jeans and a straw hat. Crosby was treated like a local when he came to town, and he appreciated his acceptance by the people of Elko, according to a 2003 history written by the late Howard Hickson, a former director of the Northeastern Nevada Museum. Crosby sold the ranches after his sons expressed no interest in continuing the operations. Todd Renfrew, the listing agent with Outdoor Properties of Nevada, said the Lawson Ranch has nearly 3,000 acres (1,214 hectares), a private airstrip and an airplane hangar, a nearly 5,000-square-foot main residence with five bedrooms and five baths, three additional houses and barns. The main residence was renovated as a bed and breakfast. “The old homestead house from the 1860s is still on the property,” Renfrew told the newspaper. The property is currently a working ranch with hundreds of cattle and state water rights. He declined to identify the current owner.